The 21st Conference of the Parties under the UNFCCC is approaching fast and expectations are plenty. Much can be analysed, speculated and criticised about the upcoming negotiations in Paris, but in light of the unfolding conflicts worldwide, I would like to make a few remarks about the importance of a holistic and meaningful climate deal as a precursor to global peace. Even though working towards tackling the drivers and impacts of a changing climate is what constitutes the climate regime, the decisions made therein are not only pertinent to addressing climate change. As a matter of fact, the processes and outcomes of this very regime epitomise the indispensable aspects of global peace. Living in an era underlined by the post-peak of oil, race to resources, and increasing concerns over water, food and energy security forces us to explore the inextricable links between political conflict, economic development and environmental risks. The climate regime complex, with the multiplicity of issues, interests and actors it encompasses, is the closest structure we have today that can change the discourse of world politics. Holistically addressing climate change is, at its core, part and parcel of a global peace-building process. There are two signposts for this. To begin with, unchecked climate change will only bring about more conflict to the world. The failure to limit greenhouse gas emissions below the levels that would ensure a safe operating space for humanity will lead to several climatic feedbacks that will be catastrophic to the sustenance of life on Earth. 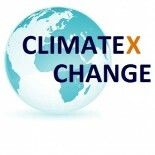 The scientific consensus shows that in the absence of measures to stabilise the global temperature increase to below two degrees Celsius, feedbacks such as severe heat waves and droughts, sea-level rise and coastal flooding, water scarcity, loss of arable land and the resulting crop failures will be unavoidable. The adaptive capacity of humans will be well surpassed at two degrees in the most vulnerable parts of the world from Southwest Asia, including the Fertile Crescent in the Middle East, to low-lying islands in the Pacific. Forecasts tell us that as a result people will be forced to migrate en masse from uninhabitable lands. Conflict over resources will lead to deprivation and insurgencies, increasing the likelihood of civil unrest. The ensuing economic decline will pave the way to further social and political conflict. Climate change is also fuel to the flame, exacerbating the conditions for structural problems, which then turn into fully-fledged conflicts. The U.S. Defence Department considers climate change a threat multiplier due to its potential to influence the course of a problem for the worse, be it the spread of infectious diseases or terrorism. Indeed, a recent peer-reviewed study shows how civil insurgency and the resulting conflict in Syria can be partially attributed to the “catalytic effect” of the most severe drought on record for the territory that displaced millions of Syrians whose livelihoods depended on agriculture. In Nigeria, the root causes behind radicalisation and the rise of Boko Haram have been linked to the impacts of climate change in the region that contribute to exacerbating desertification, water scarcity and crop failure. Coupled with the “inadaptiveness” of the political leadership, climate change provides a “basic causal mechanism” for conflict and violence to emerge. It is abundantly clear that the business as usual scenario resulting in a warmer globe will also ignite more tension within societies with ramifications for the state of peace and security worldwide. So a meaningful climate deal will be instrumental for avoiding further conflict in the future. Therefore, in a way, COP21 will be a peace conference. But beyond its capacity to aid us in preventing future conflict, the climate regime provides us with the most comprehensive toolset in international diplomacy for fixing the structural problems at hand. The climate regime, while addressing climate change itself, prompts us to connect certain inalienable dots in the process. Fixing the climate problem begets reconciling the world’s energy outlook, economic needs and environmental problems. At the same time, it begets fixing the unequal, unjust and unrepresentative playing field. That is why the climate regime is the product of a learning curve and a global testimony to understanding the fundamentality of combining ecological intelligence with marketplace practices, internalising the external costs of economic development, and doing so in an equitable way. As such, working on the climate problem is synonymous with working on global problems. That is not to say that a climate deal would solve all the problems in the world as a by-product. But it would help coalesce the understanding that the problems we face today originate against the backdrop of unsustainable and inequitable practices that can be prevented. It is to acknowledge that lasting peace and stability, and a stabilised climate are mutually inclusive. Never has the need for a holistic climate deal been more pertinent and urgent to our needs. In essence, the measuring stick in Paris will be whether or not the world leaders will decide to put their symbolic boots on the ground this time around for global peace. Sırça believes that living in an ever-connected globe, at the age of Anthropocene, not only yields opportunities in front of individuals, but also bestows certain responsibilities on them. That is why she has made the very conscious decision to devote her academic and professional career to the climate-development-energy nexus. With a background in social and political sciences, which she complemented with European governance and public affairs, she's been trotting the globe for the past six years. Sirca’s greatest ambition is to be a life-long learner. Her favourite pastime is being on the beach. She might or might not be daydreaming frequently the day she can engage in both simultaneously. In the spirit of fairplay, she thinks all fields of sport are equal as football being the most equal one. This entry was posted on November 26, 2015 by Sirca S. Gogus in Climate Change Adaptation, Climate Change Mitigation, Climate Change Negotiations, Climate Ethics and tagged Climate change governance, Conflict and Climate Change, International climate policy, Nigeria, Peace, Syria, UNFCCC.